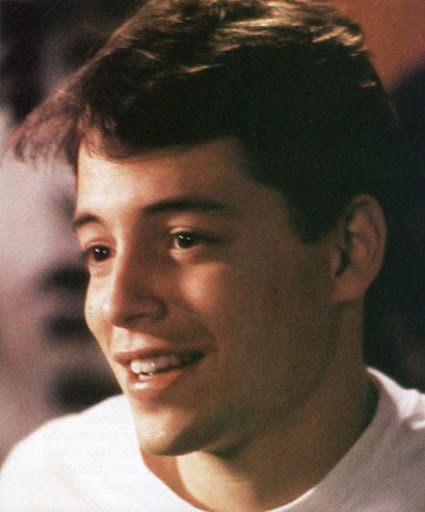 It’s time to celebrate the birthday of one of the 1980s’ most reliable stars – the ever-youthful, never-aging Matthew Broderick turns 48 today (can you believe that?! ), and in honor of his completing another year of life, I’m going to take a look back at some of my favorite Matty B. roles. Now lets start with a personal favorite – one of Broderick’s first big-screen roles – 1983’s WarGames, an early 1980s gem that follows the exploits of a computer geek in the age of green screen and giant floppy disks, is an early tech-action thriller before they were cool. Ally Sheedy is of course adorable as his semi-love interest from school, but it’s Broderick that commands the screen with his pasty, boyish nerdiness that makes for a satisfying action climax (a certain game of tic-tac-toe we all know and love). But if we’re talking Broderick in the ’80s, I’m going to make a probably unpopular choice and say my favorite is not a certain rambunctious high-schooler, but rather Phillipe, the comical sidekick of Michelle Pfeiffer and Rutger Hauer in 1985’s Ladyhawke. It’s truly sad the fantasy adventure movie didn’t really catch on like it deserved to, but it’s always been a personal favorite. I mean, how cool is the premise with the wolf/hawk, day/night transformations? 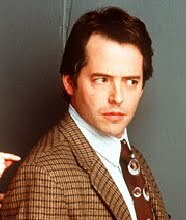 All right, now down to brass tacks – the big one is very clearly 1986’s Ferris Bueller’s Day Off. From “Twist and Shout” in the parade to the automobile shenanigans to the narrative asides to the camera, Ferris is smarmy brilliance – a fully developed character whose ease at winning over his surroundings made him an iconic torch-bearer for the secretly rebellious teenagers of his generation. It’s rightfully one of the most well-regarded teen movies of all time, and Broderick is more than partially responsible for the lasting success its enjoyed. Now, moving on to the ’90s, what better way to transition to an adult star while still keeping your loyal young high school fans than by voicing the hero in the (at the time) highest grossing animated movie of all time? Broderick is vocally memorable as the adult Simba in The Lion King, and (we found out later) has the pipes to carry the song score as well (though he wasn’t given the opportunity to stretch his musical sea legs just yet). Now, sure, like every career it’s had its flubs – 1998’s Godzilla was a pretty big and painful mis-step and 1999’s Inspector Gadget had its redeeming moments but was mostly a letdown – but at least Broderick seems to maintain his sense of humor about it. Take The Cable Guy, a messy, deranged comedy that shouldn’t work but almost does as Broderick plays straight man to the wacky facial distortions of Jim Carrey’s creepy stalker. I for one am of the opinion that Broderick started to truly find his place as an adult actor at the turn of the century. In 1999’s Election, his troubled teacher Jim McAllister is a terrifying (yet oddly humorous) portrait of a slow meltdown into despair. In 2000’s You Can Count on Me, he takes on the part of obnoxious love interest (something he’s not particularly known for). But it seems that Broderick has found his latest niche in the last few years. Following a stint on Broadway as Leo Bloom in The Producers, a film adaptation (which I thought was better than most give it credit for – big, showy stage musicals just have a tough time transitioning) followed. I’m not sure what’s to come for the actor, but playing a part in the high-profile indie drama Margaret with Anna Paquin can’t hurt. Gotta love him in The Lion King! By the way, I love your blog and I was checking out the Best Best Actress winners. I love the inclusion of people like Gwyneth Paltrow and Reese Witherspoon who catch an unfair amount of flak for their stellar performances!Anyway, love the blog!